6 Pub Walks to Celebrate the British Countryside! If you love to combine rambling with real ale, walking with watering holes and countryside with country pubs, then we have a real treat for you! For the first time, we have teamed up with the TV channel Blighty to celebrate all things British with the launch of the Great Blighty Ale Trail. Together we have created a series of six authentic British Ale Trails for you to enjoy. Simply select the map you want and download it here for free. The maps have been designed to showcase the dramatic British countryside and the traditional pubs and ales it has to offer. Each map includes an easy to follow route with at least two pubs along the way and other interesting local destinations such as tea rooms and historic sites. 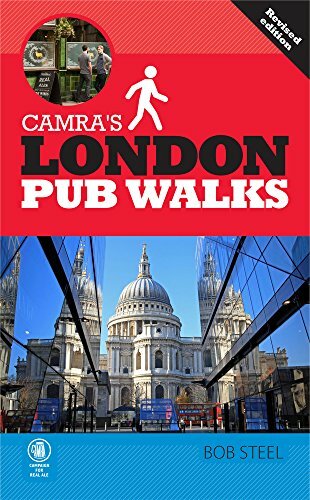 Of course, here at MyFavouritePubWalks.com we like to index our walks based on the pubs. So, instead of clicking the route maps below, if you prefer to choose the pub first then go to Pubs on the Ale Trail where you can do that too! A circular walk around Ely, taking in the cathedral, a stretch of the River Great Ouse and offering a choice of pubs and tea rooms. A varied walk through open countryside and a golf course, fields and woodland. Enjoy great views over the Thames before a stroll along the towpath back into Cookham. A circular walk following the coastal footpath along the cliff tops with varied terrain, seaward views, two coves, some old ruins and a nature reserve too! A pleasant level walk in Dorset countryside including the attractive village of Sturminster Newton, a stretch of the River Stour, open pasture, a former railway track and two mills. An easy, level walk including stretches of the River Avon and the pretty village of Welford-on-Avon with its thatched cottages, church, store and maypole! This short, easy walk offers variety of landscape and far-reaching views especially on a clear day. The TV channel Blighty is a perfect partner for MyFavouritePubWalks.com as it celebrates all things British, sharing our passion for our beautiful countryside and great pubs. You can see for yourself at Sky channel 534 and Virgin Media channel 206 or by visiting their website loveblighty.co.uk. We can't guarantee you sunshine... but we can help you celebrate the great British countryside! So why not choose a route near you, walk up an appetite and thirst and then relax at a great pub! 6 Pub Walks to Celebrate Summer! Three pubs in an easy 1.5 hours walk, what more could you ask for! Take in some beautiful sights with an easy stroll along the Thames. A circular walk following the coastal path and taking in a nature reserve as well! A pleasant level walk taking in some pretty villages and rural pasture. An easy walk with a kissing gate, thatched cottages and a maypole! An easy-peasy walk along pretty country lanes with stunning views.